The guys at Flippin’ Burgers moved to a new location and needed new signs for the restaurant. They still wanted to be somewhat subtle and not overexpose their presence. Therefor we kept logos on the windows in black as it was in the old restaurant. 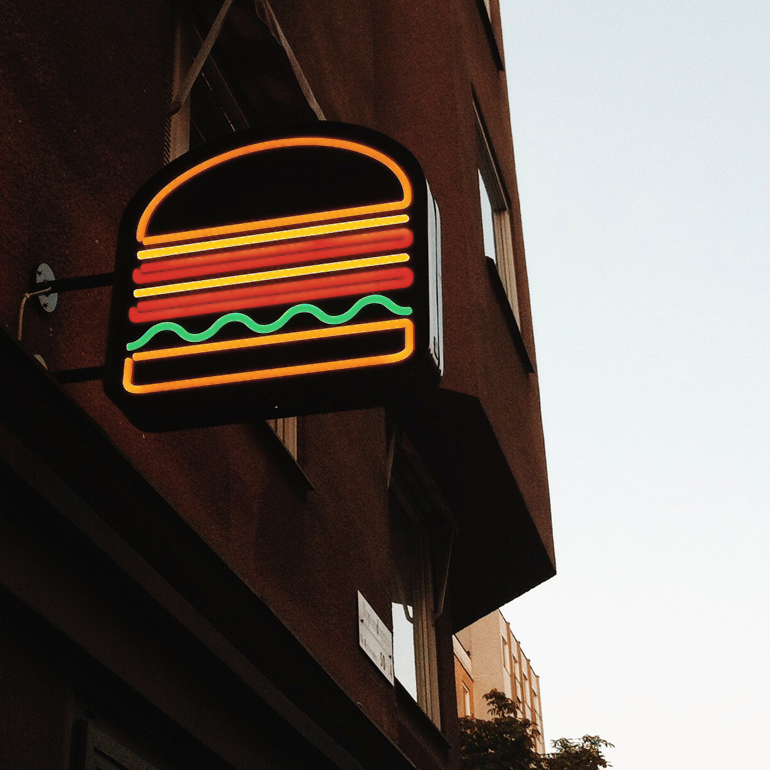 We also did a new neonsign, except it’s not neon but LED-technology, in the shape of a burger. Because Flippin’ Burgers is just as simple as that, burgers. Really excellent burgers! This burger restaurant gets really busy during opening hours and it can take some time to get a table since it’s not possible to make a reservation. So we built a greeting table in the spirit of craft burgers & craft beer, using toolboards. Also giving the customers immediate information regarding how long they have to wait to be seated as well as take a look at the menu while waiting for the maitre’d.